Had a short piece in yesterday's Evening News about the upcoming election ... totally a-political, I promise! As most readers will be only too aware, there are now less than 2-weeks left until what looks like will be the closest UK General Election for a generation. Many residents may actually have already cast their vote, as one of the over 73,000 Edinburgh electors who now have a Postal-Vote? The total number of registered voters, for the whole of Edinburgh, is now over some 347,000 electors. With a record General Election turnout forecast, it doesn’t take a mathematical genius to work out that the smooth-running of such an ‘election event’ is a massive undertaking and involves a huge effort by many hundreds of dedicated public servants. And it’s those ‘election heroes’ --- I’m most certainly not talking about the politicians, or the political Parties here! --- but the many hundreds of public sector workers who make the election happen, that I feel rarely get the praise they deserve. They make sure that the 145 polling places, right across the Capital City, are fully staffed from 7am through to 10pm on election-day, Thursday 7th May. Needless to say, many of them are there prior to 7am and beyond 10pm. And for the whole day, they guide electors through the process, and ensure all queries are answered politely and professionally. … but after the polls close, yet more hundreds of mainly public sector staff will be at the Edinburgh International Conference Centre (EICC) to count all of the votes cast! That process will go on, well into the early hours of the morning of Friday 8th May. Hundreds of thousands – literally! – of pieces of (very important!) paper need to be sorted, counted, verified and checked. 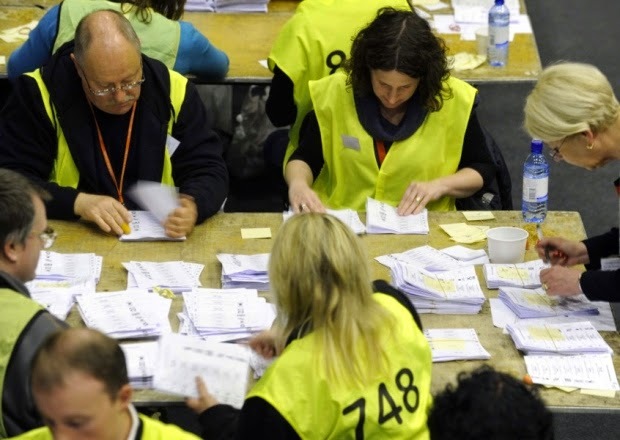 And many readers may well be aware that during that process, dozens of political Party Members (from across the political spectrum) will be carefully scrutinising what goes on – physically, looking right over the shoulders of the counting-staff. It’s a process which, as I’m sure you can imagine, does get tense. Yet, in the numerous election counts I’ve attend throughout my 22-years in Edinburgh, I have never once – not once – heard a single complaint from a member of the counting staff about the detailed, and intense, scrutiny they come under? Indeed, I’m endlessly amazed at how calm, collected and polite they all are at 3am in the morning when someone asks them a vague and outlandish question about the process they’re undertaking! And this year, as has infrequently happened in the past, the whole process could have to be repeated if one of the 5 Edinburgh constituency contests is close, and a re-count is required? 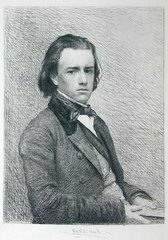 At the end of it all the results have to be agreed with the numerous political Parties taking part; they have to be announced publicly to the waiting media; and – crucially – the whole process has to be seen as fair, thorough and professional … and the result thus accepted by all concerned. Frankly, I’m amazed that year after election-year … and we do have a lot of election years these days! … that outcome is successfully achieved; and a clear result, which is accepted as fair by all concerned, is arrived at in the morning after the polling places close. So – please – when you cast your vote, do give thanks to the hundreds of public servants who make the whole process run so smoothly. Do reflect on the scale of what they undertake – both on polling day, and throughout the overnight count. For, without a doubt, it’s those staff who are the real election heroes. Hopefully a few more snaps will follow after the 7th May! Lord Provost Donald Wilson finished the London Marathon in five hours and raised over £6,000 for local causes. The One City Trust Rapid Action Fund is the Lord Provost’s local charity and aims to fight inequality. It supports a variety of community-based charities and organisations by providing emergency funds and resources, and has helped a host of causes from breakfast clubs to foodbanks, and social clubs for elderly residents. The Jamie Skinner Foundation will help provide defibrillators in Edinburgh communities and training in their use. He said: "I did it! What a fantastic day and I’m so thankful for all of the support. I think I’m Edinburgh’s first Provost to complete a marathon and I am proud that I’ve managed to raise so much money for local charities. It was certainly a challenge but one I worked hard to achieve. Made it along to my second, Pedal on Parliament event today and was very impressed (once again!) with the turnout. --- some four to five thousand cyclists, I'd say? I know that doesn't happen by accident, and the organising-team deserve huge congratulations for their efforts! All eminently sensible; but I do acknowledge that whilst the City of Edinburgh Council is making good progress in all eight areas, there is much, much more to do. The results of our annual residents' survey continue to offer encouragement and reassurance that, broadly speaking, residents believe we are managing their city well. According to the 2014 Edinburgh People survey, the largest of its kind in the UK, over three-quarters of residents are satisfied with the way we are managing neighbourhoods. Nine in ten, meanwhile, are satisfied with Edinburgh as a place to live, with two-thirds expressing satisfaction with the Council's management of the city overall. That said, given a backdrop of falling budgets and greater demand for our services, it is hardly surprising that some are performing less well - particularly those areas, such as refuse collection and recycling, currently undergoing significant changes to delivery. But through this survey, and our extensive budget consultation, we are listening to what residents are telling us - and acting on their feedback. Last January, we had to face the outcome that everyone dreaded, namely that Mikaeel Kular had not been found safe and well. It was a tragic situation and, although over a year has now passed, our thoughts are with his family and friends still struggling to come to terms with the circumstances surrounding his death. We shouldn't forget the incredible show of community spirit in North Edinburgh following Mikaeel's disappearance, with hundreds of volunteers giving up their time to join the search. It was extremely moving and inspiring to see the community pull together like that and I know that spirit remains strong today. While the independent case review, a summary of which was published this week, is clear that Mikaeel's death could not have been foreseen, it is vital that all agencies involved read and digest everything in the report. I am delighted to be working with our five neighbouring local authorities to pursue a deal for the Edinburgh and South East Scotland City Region. In creating this fund, and unlocking billions of pounds of potential infrastructure investment, we want to build on our strengths whilst tackling persistent pockets of inequality and other constraints that threaten to hold the region back. 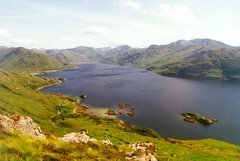 We have written collectively to the UK and Scottish Governments seeking their agreement to develop a more detailed proposition, which we hope to finalise by the end of the year. With less than a fortnight to go until the General Election, preparations are well underway to ensure the process is as smooth and efficient as possible across Edinburgh's five Westminster constituencies. As 67,000 postal votes hit residents' doormats earlier this week, around 900 presiding officers and their assistants were receiving the training required to run the city's 145 polling places, open for voting between 7am and 10pm on 7 May. As per the Referendum last September, the eyes of the UK (if not necessarily the world this time!) will be on Scotland, and Edinburgh, and we want to ensure that, once again, we give them the best possible view. Media interest is already hotting up and I have no doubt that our new count venue, the Edinburgh International Conference Centre, will allow us to do just that. Congratulations to the staff of Willow - a ground breaking partnership that provides support to women in the criminal justice system - on being awarded the prestigious COSLA Gold Award for tackling inequalities and improving health. A background of offending can permanently stigmatise people and Willow is doing vital work to help reduce reoffending and help service users build better futures. Meanwhile, the Council's Commercial Excellence programme collected an award for innovation, improvement and best practice at the recent CIPFA awards. The fact that the judging panel included the Auditor General demonstrates just how far the procurement team has come over the last two years. And finally an appeal on behalf of our Lord Provost, Donald Wilson, who is running the London Marathon this Sunday, 26 April. This will be his first ever marathon, having only taken up running last year. Donald is running in order to raise funds for two local and very worthwhile charities, both of which are very close to his heart: The One City Trust and Jamie Skinner Foundation. Please support him and these worthy causes by giving what you can. Having run my last (ever!) marathon a year ago, I can assure you he deserves every penny! General Election fever may be gripping most of the country - but Council business continues as normal! ... all the reports are now up on Committee Papers On-Line (CPOL) and you can access the main agenda directly here; and each of the individual reports separately via this link. 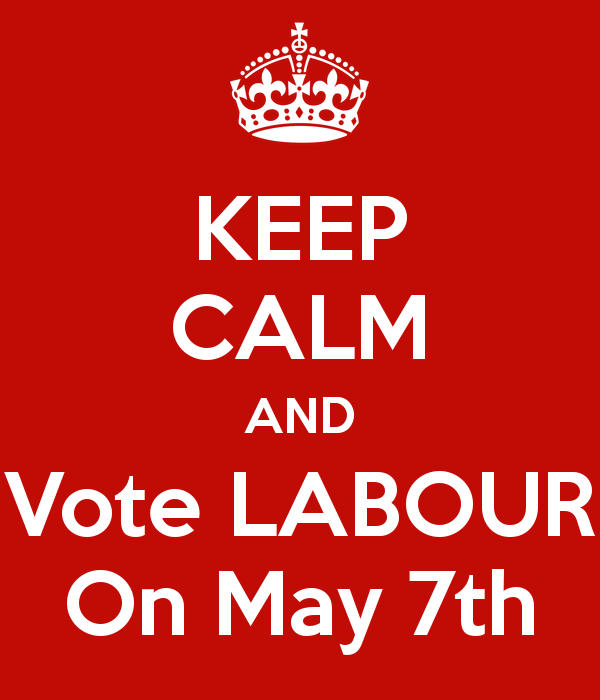 2-weeks to go until Polling Day! 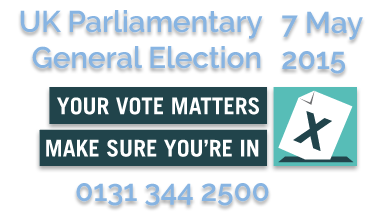 Only 2-weeks to go ... everything you need to know about where, when and how to vote can be found here; and here's a link to a handy fact-sheet with all the relevant information in one place! ... and here's my 2015 finisher medal! 3-weeks to go until Polling Day! 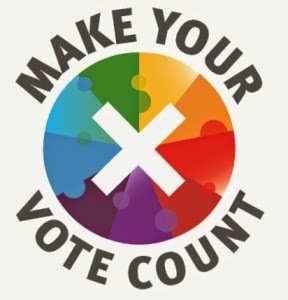 Only 3-weeks until Polling Day, and even less time to ensure you're actually registered to vote --- see that last post for all the details, and check before Monday 20th April if you're not sure? Don't miss out - YOUR VOTE REALLY MATTERS! There's only until next Monday to register to vote, in what could be the closest election of our lifetime! ... it only takes a few minutes! Voters in Edinburgh are being urged to check their registration details are correct four weeks ahead of the General Election. With the campaigns in full swing and poll cards already hitting doormats, citizens are reminded that they must be registered in order to have their say on May 7th. Tenants and recent movers are the focus of a drive to encourage registration. 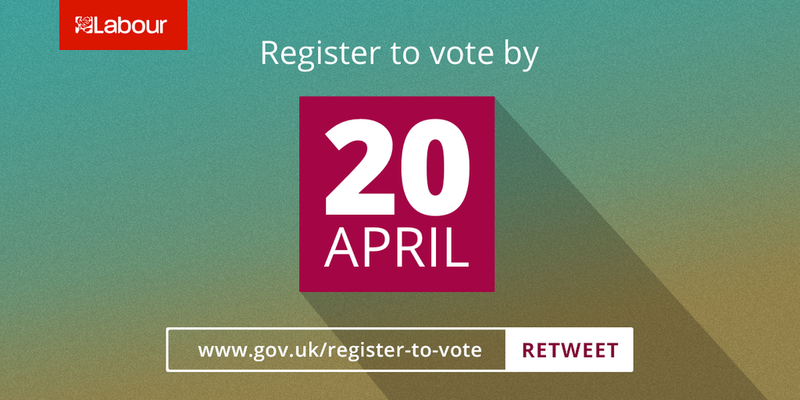 Members of the public, including students and people who have moved home since the last time they registered, should check they are on the electoral role ahead of the registration deadline on April 20th. 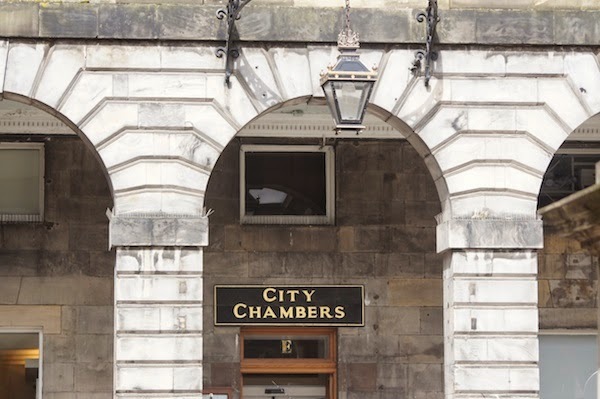 Nominations close on Thursday for General Election Candidates, when the final list of those standing for Edinburgh’s five constituencies will be announced. More than 84% of the city’s residents voted in the Scottish Independence Referendum in September, which saw a record-breaking turnout across the country. But changes to the electoral registration system could mean some electors need to re-register. Anyone who has moved since August can update their address or other details (external link) by visiting the GOV.UK website. You can check you are registered by phoning the Lothian Valuation Joint Board (external link) on 0131 344 2500. Find out more about where, when and how to vote. ... no online presence (of any form!) now, until next Tuesday at least. The Edinburgh and South East Scotland City Region – comprising Edinburgh, Borders, Fife, Mid, East and West Lothian councils – will work together to develop a deal with the Scottish and UK Governments designed to grow the local, national and UK economies. At the heart of the proposition lies a £1bn infrastructure fund, with priority areas for investment likely to include transport, housing, economic regeneration, energy and digital connectivity. It is estimated that an additional £3.2bn of private sector investment could be leveraged, generating tens of thousands of new jobs and providing a sustainable 5% uplift to the local economy. 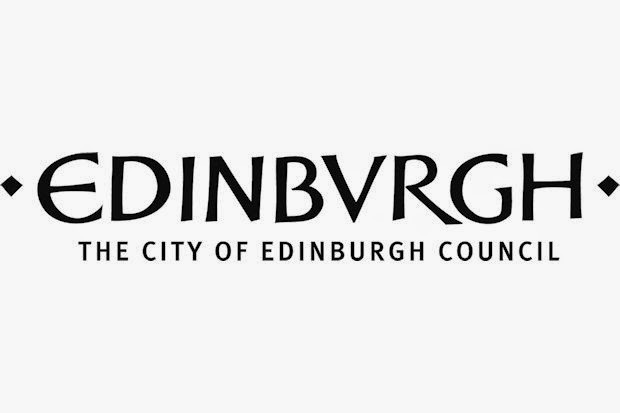 Speaking on behalf of the six local authorities, City of Edinburgh Council Leader, Andrew Burns, said: “I am delighted to be working with our five neighbouring local authorities to pursue a deal for the Edinburgh and South East Scotland City Region. “In creating this fund, we want to build on our strengths whilst tackling persistent pockets of inequality and other constraints that threaten to hold the region back. Assuming a positive response from ministers, detailed work on prioritising potential investment would continue in partnership with representatives from both governments. The City of Edinburgh Council Leader has welcomed news that Edinburgh's residents are amongst the proudest of their city in the country. Research by YouGov revealed that 90% of citizens are proud to live in the capital, citing historic landmarks, local culture, green spaces and transport links amongst the things they love most about the city. 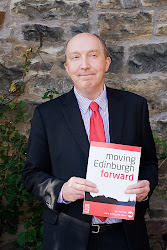 Council Leader, Andrew Burns, said: “We are delighted that Edinburgh’s residents are so proud of their city – we feel the same way. The capital is packed with stunning historical landmarks and beautiful open spaces, as well as a thriving cultural scene, which I know its citizens appreciate and this survey demonstrates that. “Edinburgh boasts an excellent integrated transport system too, and these results back up positive levels of satisfaction in public transport shown in our last Edinburgh People Survey, as well as similarly positive figures from Transport for Edinburgh. 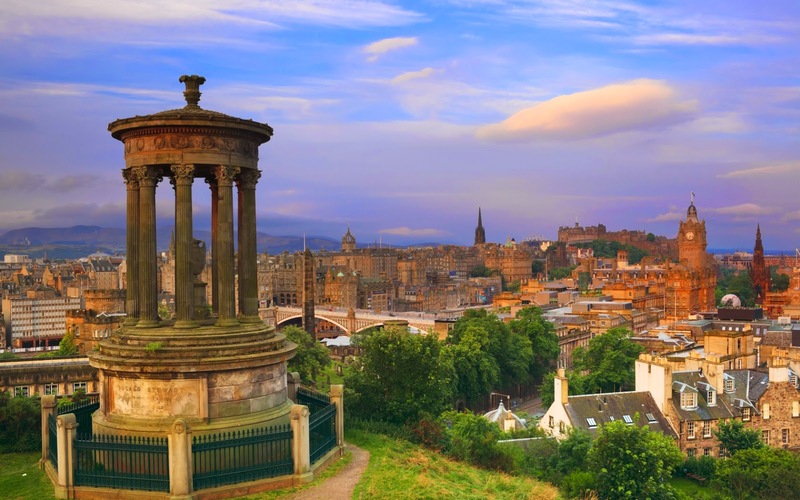 Edinburgh came second out of ten 'leading cities' in the UK, with first place Brighton scoring 91%. Findings mirror recent results of the Edinburgh People Survey, which showed that 89% of respondents were satisfied with Edinburgh as a place to live. Read the full results of the poll on YouGov's website. 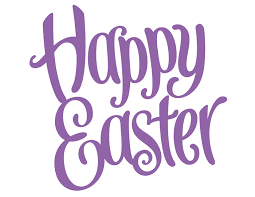 This entry was posted by Media Team on 01/04/2015.